Road closure and conditions map. 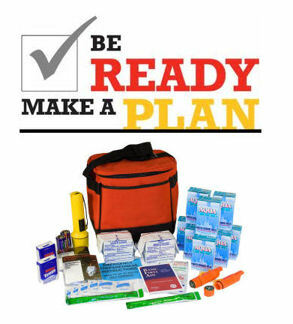 An emergency can generally be defined as a situation wherein it is either not safe or not possible to get children home from school because of situations such as earthquakes, fallen trees, and/or wires which make roads impassable. At school we run drills every month to practice fire, earthquake, and/or lock down procedures. The children learn to line up and leave the building in groups for the fire alarm, and to duck and cover for the earthquake alarm. The duck and cover alarm will also be used in any other emergency situations where the children are required to remain indoors. In the event of impassable roads, the children will be kept safely at the school until roads are clear and parents can pick them up. More information about our immediate emergency procedures is available here. All staff members will remain at school until all children are released to go home or are in a place of safety. All students will remain at school under the direction of their classroom teacher, until the emergency situation no longer exists and it is safe to take them home or to another place safety. If school buildings are unsafe to occupy, children will be assembled by class in open, outdoor areas. Pacific School District has direct radio communication with the Santa Cruz County Office of Education, which will serve as Pacific School's liaison with the Santa Cruz County Disaster Communication Network. The aid of the Davenport Fire Department will be immediately sought in an emergency situation. Children will not be allowed to call on the school telephone. The telephone lines will be kept open for in-coming calls. No child will be released to anyone other than his parents or guardian unless the school has written consent or consent by telephone. The school is equipped with emergency supplies prepared for a 48-hour period. If school is closed due to loss of power or other hazards during stormy weather, a phone tree will be implemented to notify parents. Discuss the school and your family's emergency plans thoroughly with your child. Make certain that the school has your current address and telephone number. Keep this information up-to-date in the school office. Notify the school of an alternate person who can take your child home and who can safely care for your child, should it be necessary to close school early and you cannot be reached. Emphasize to your child that he remain calm and cooperative. Under no circumstance is a child to leave school without permission. A battery-operated radio in your home is a necessity. During an emergency, please listen to radio station KSCO (AM 1080, FM 99.1), as the radio stations will make periodic announcements about school closures. The district will notify the station should an emergency situation develop. If the emergency lasts longer than 48 hours, it will be necessary to ask for the assistance of outside agencies in order to ensure the safety and comfort of children who are remaining at school. The school is not presently equipped to house students for long periods of time.